For years, I had been admiring this large yellow home with giant satellite dish from the top of the point, in between sets. I was told that Hall of Fame former number one surfer in the world Corky Carroll actually lived there. One morning, I saw Corky in the lineup and he was killing it. I then met some guys in the water from San Diego who were staying with Corky. They mentioned that they had taken advantage of his “Surf Adventure Package” multiple times per year and now felt like family. They both told me this adventure was a no-brainer, and to do it!” I finally gave it a try for the first time last June. I have since been back multiple times, also feel like family, and even left a couple of boards down there. The Bay of Petacalco stretches from Zijhuatenejo to Lazaro Cardenas. The wave rich Guerrero state consists of thumping beach breaks, reefs and at least two incredible left rivermouth cobblestone point/reef breaks. There are several things that I really love about this region. It is super consistent all year round. The water rarely dips much under 78 degrees, and most importantly, it’s only a three and a half hour non-stop flight via Alaska Airlines hop from LAX. That means there are no down days for travel. You are in the water the day you arrive, and you will surf every day until you have spaghetti arms and are totally exhausted, (even on your last day). La Saladita, aka “The Machine” is not just a long boarders paradise. It can be ridden at any size from 2’ to nearly 20’ and be flawless, at the right tide. When it goes overhead which is often, break out your short board or fish. Your legs will be rubber from all the turning, wraparounds, and railing it through the speedy reef sections. La Saladita breaks almost ¾ of a mile out. That means when it looks like it is only 2-3’, it’s overhead when you get out there. On those days when it looks really good from the beach, it’s enormous when you get out there. Because of this, many gringos do a quick morning La Saladita check, and then mistakenly conclude it is too small. They then head to the other great point 30 minutes north. Their loss will be your gain when the tide is perfect. Point break conditions can dramatically vary and change with the tides and winds. On many days, the onshore winds start blowing about 11:00am and everyone goes home. As this is the tropics, all it takes is a twenty minute rain storm to get the wind to completely stop, or switch offshore. There is nothing better than getting perfect point surf with very few people around without having to travel around the world for days. There is another really fun, peaky reef wave a few hundred yards north, directly behind Corky’s casa., Not surprisingly, this break is called “Corkyland”. With the legendary La Saladita point right next door, nobody really surfs it, except Corky, Tim and occasionally some guests. It can get really fun though when there is some size. 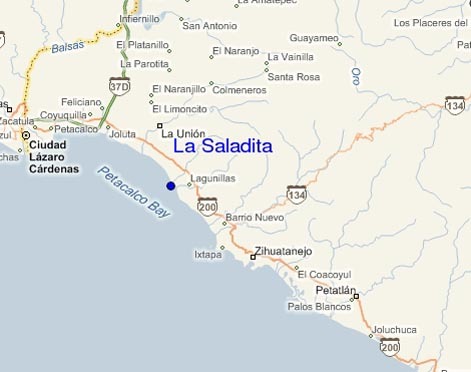 There is also another great left reef/point pass that is only 30 minutes north of La Saladita. This wave can be a couple feet bigger than La Saladita but gets too gnarly and closed out at double overhead+. 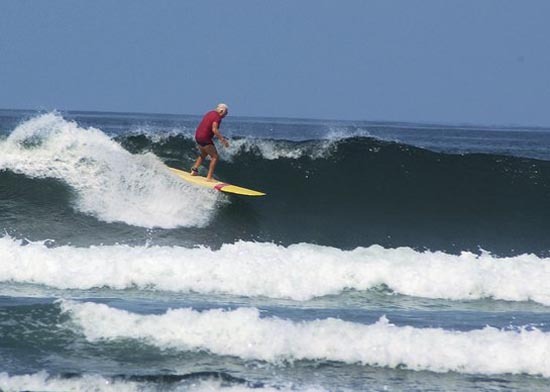 It is a great option for shortboarders though when La Saladita is small, or the wrong tide. Looking for some right handers? Look about 500 yards south of this other point, just across the rivermouth. There is a Trestles-like right over there and it’s rarely crowded. When the points are small, Corky will take you to the local beach breaks which never go under shoulder to head high and are usually peaky and thumping. South swell season (April to October) offers the largest and most consistent surf. Because of the great exposure though, this region breaks great all year around. Day One, Not surprisingly, I woke up first. While the coffee was brewing, I did some light stretching on my yoga mat. Corky has his own PARADISE BLEND COFFEE out now, amazing. While watching the sets rolling all the way through from the top of the point, I knocked off a quick bowl of granola, a banana, my coffee, and then bee-lined out into the lineup. After surfing flawless overhead glassy waves with just two other Encinitas gringos for about twenty minutes, Corky finally paddled out. We then shared set wave after set wave, and howled like jackals at each other all morning. I kept getting pinched in the same place on the bigger set waves and consulted Corky. He explained that it was best to try hitting that particular section high instead of tucking under it, or trying to get out in front of it, as I had been doing. As if on cue, an 8’ face appeared and he did a late air drop take off. He completely disappeared and all I could see for the first 100 yards was the back of the wave with some occasional spray. At the critical area we had discussed, he hit the top hard and floated out in front of the section as he had previously explained. I made nearly every wave all the way through after heeding his advice. Who says you can’t teach an old dog a new trick? By about 10:30am, I was totally exhausted. Instead of the normal sticky ride back to my usual B & B, I took the 10 minute walk back from the point. 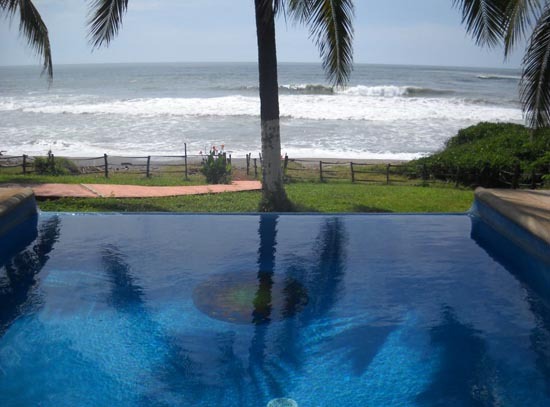 I then took a dip in the infinity pool while continuing to watch the surf. At this point, Corky and Raquel’s wonderful housekeeper Rosa, would come out and ask if I was ready for breakfast. She would then whip up eggs Mexicana, Quesadillas, or something else equally delicious. After breakfast, it was time for a quick ride in Corky’s killer magic fingers massage chair. Twenty minutes of Kneading and percussion later and I am a new man and ready for a quick nap, answering e-mail and phone calls, or session number two. Raquel is very warm and a great chef. She will have you looking forward to dinner every evening. You can give her your food preferences if you wish. I preferred to be surprised and ended up eating some remarkable dishes I had never even heard of. Raquel is also a very talented photographer. Don’t be surprised if she catches some of your glorious moments along the inside reef section. For your evening entertainment, Corky’s neighbor, Timatao aka “The Iguana,” is usually the opening act if he is around. He is one of the nicest guys you will ever meet. Between his stories, live-in menagerie, and Corky’s stories, you may bust a gut laughing. It is very easy to see why the majority of their guests keep coming back for more, over and over. Corky and Raquel are incredible hosts and you will feel like family within 48 hours of arriving. Since everything is inclusive, all food and beverages are included. Yup, that includes COLD beer. That means don’t plan on spending any additional money unless you go into town and want to go shopping. When not surfing, try taking a nice beach walk, try a standup paddle board workout, or catch up on your reading. Bring your laptop and or smartphone because they have a satellite internet connection and you can stay in touch with your family, friends and business, when needed. It’s insanely hot down there in the summer and the water is super warm all year. After surfing your brains out, it’s very important to stay hydrated..
Corky always has his refrigerator stocked full of ice cold beer, along with assorted juices and soft drinks. If he offers to make you a Corkarita, take him up on it! His secret Margarita concoction (with guava juice) is simply delicious. They say only a surfer knows the feeling. Sometimes I think the feeling that they are referring to is the painful one when it’s time to pay to check your surfboard bag, or waiting forever for it to get unloaded. Corky’s all-inclusive surf adventure includes usage of his boards and he has plenty of them. Imagine, going on a surf trip and not having to drag your boards through airports. In fact, why bother even checking luggage. T-shirts, surf trunks and flip flops are the standard attire. Bring sunscreen, tropical wax and a couple of leashes in case it’s big. 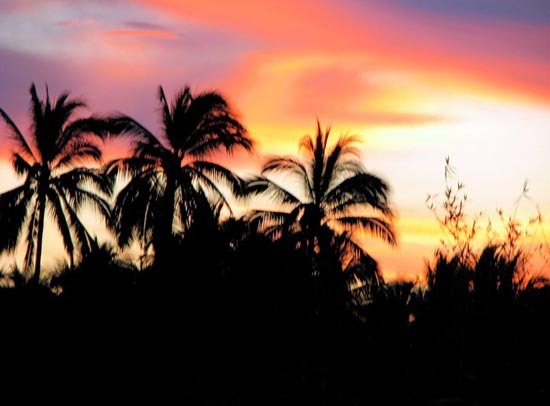 Travel wise, this is the easiest surf trip you will ever take! 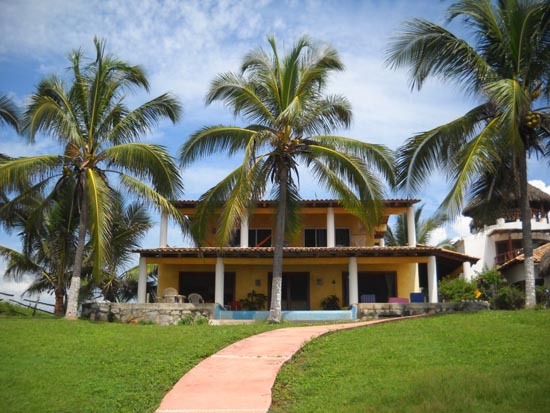 Since all of your meals are provided while at Corky’s casa, you really don’t even need to convert dollars to pesos, unless you plan to do some shopping in Ixtapa or Zihuatenejo. Corky’s area of Mexico is extremely safe and isolated from larger cities like Acapulco . For more information and pricing information, contact Corky and Raquel directly at [email protected] <mailto:[email protected]> . Tell him Joel sent you. It just might get you a discount at best, or a Corkarita at worst.